We LOVE Mac N Cheese, there’s no denying it. However, there’s no chance of that with Anna Maes. Described by Metro as “Killer mac n cheese”, in a good way… we add. It’s the perfect hit of cheesy goodness. Now open as part of Kerb’s brand new London Bridge food market, which is open every Thursday and Friday, we thought we’d give them a go and see what all the fuss is about. Parked up at the back of More London, the first thing that hits you is the smell of fresh Mac N Cheese cooking right in front of your eyes, their 1986 GMC Vandura trailer, which they have lovingly named ‘Burt Reynolds’, and the queue of people. Clearly already a favourite, Anna Maes has quickly become a popular choice for local office workers. Their menu is split into four offerings all at around £6… There’s The Annie Mac, classic elbow macaroni in three cheese sauce. The Don Macaroni, Mac with crispy bacon, basil oil & fresh basil. The Spicy Juan, mac with chipotle, jalapenos, sour cream & fresh coriander, plus The Kayne Western, mac with beef hot dog, housemade bbq sauce & crispy onions. Once ordered your Mac n Cheese is quickly in your hands. We tried the The Don Macaroni, as well as The Spicy Juan, struggling to decide with many other queuing also weighing up their options! The Don Macaroni had a generous helping of very crispy bacon on top, and as you dug in the bacon it mixed into the gooey cheese base, which wasn’t too stringy to walk along and eat – important when you’re a street market trader and filling up the stomachs of busy office goers.The Spicy Juan lived up to its name also, with the chipotle and jalapenos adding a spark to the dairy dish. What did surprise us was the quantity of the serving. When first holding the small-ish pot, it’s easy to be deceived into thinking that a portion is quick small, however halfway through and you quickly realise it’s a meal in itself. 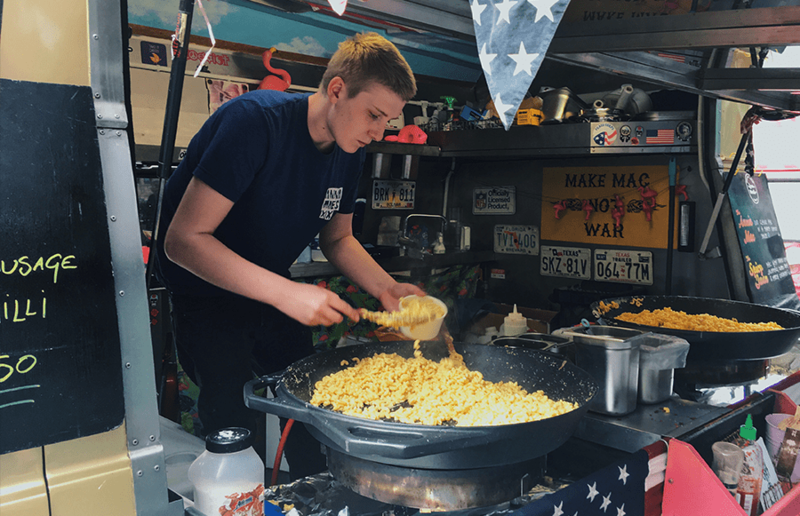 Calling themselves “London’s original Mac N Cheese dealers”, it’s easy to see how they’re still around and so popular. 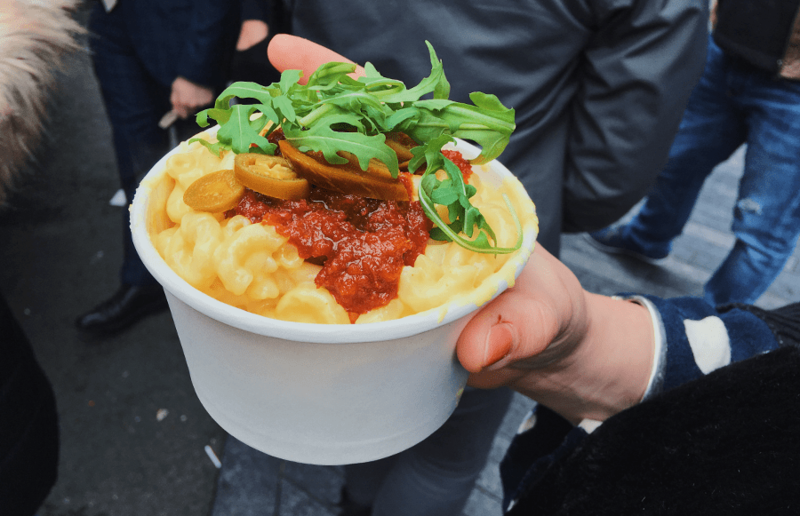 Give Anna Maes Mac N Cheese a go at More London’s new London Bridge street market, or visit their social media here to find out where they’ll be popping up over the summer. Go behind the scenes at Selfridges with a tour of the famous store!